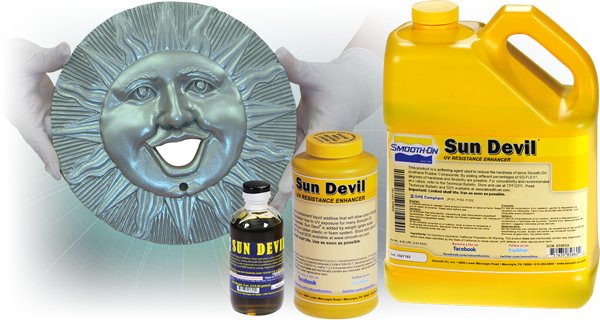 Urethane Rubber Accessories, Take Your Urethane Rubber Further | Smooth-On, Inc. Additives compatible with Smooth-On Urethane Rubber Compounds for altering and enhancing their characteristics and performance. Choose from a variety of colorants and fillers, cure accelerator, softening agent, UV resistance enhancer, adhesive and more. 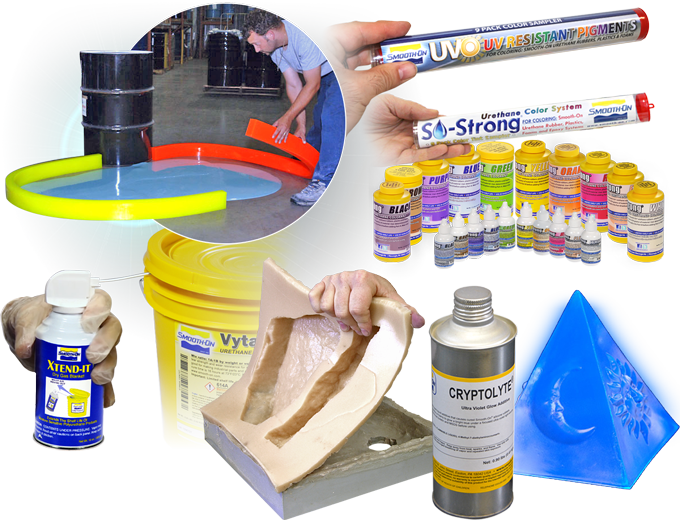 SO-Strong™ colorants are highly concentrated, offer excellent dispersion and consistent color. 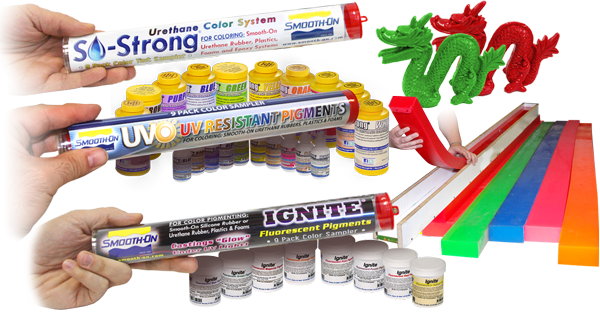 UVO™ Colorants are phthalate-free color pigments that resist ultra-violet light. Ignite™ pigments are fluorescent colorants. 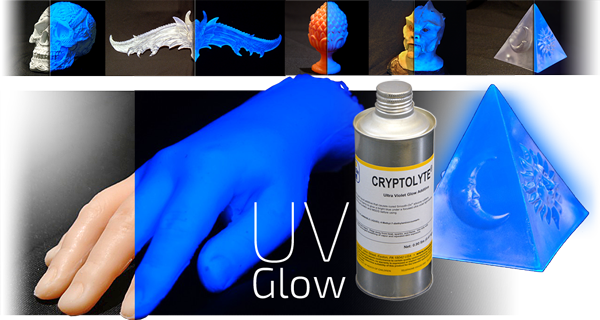 Castings appear brighter and appear to glow under ultraviolet light. Additive designed to “accelerate” the cure time of VytaFlex™, ReoFlex™ and PMC™ rubber products without significantly affecting the ultimate physical properties. 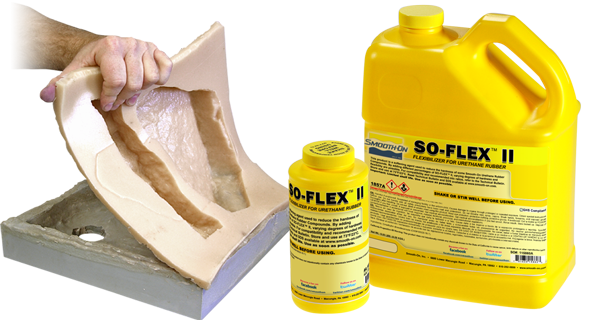 Softening agent that will lower the cured durometer of a variety of Smooth-On flexible polyurethane products. Can also be added to Vytaflex™ 10 to create a urethane ‘gel’ type material. Designed to extend the shelf life of unused moisture sensitive polyurethane products. 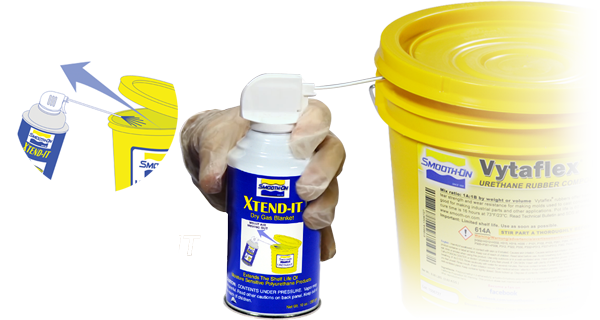 Applying the XTEND-IT™ to the unused portion of a liquid polyurethane system will minimize residual moisture in the container and significantly extend the shelf life of what remains. 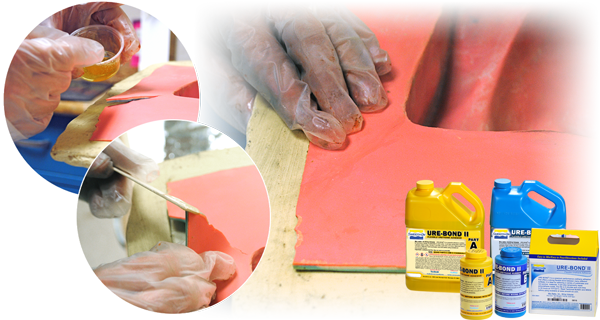 Primarily used with liquid urethane rubbers for brush-on moldmaking applications. 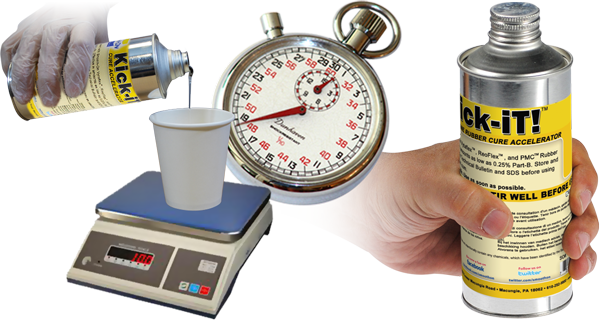 URE‑FIL™ 9 is a fumed-silica based thickening agent added in small amounts to the mixed rubber until the desired viscosity is achieved. 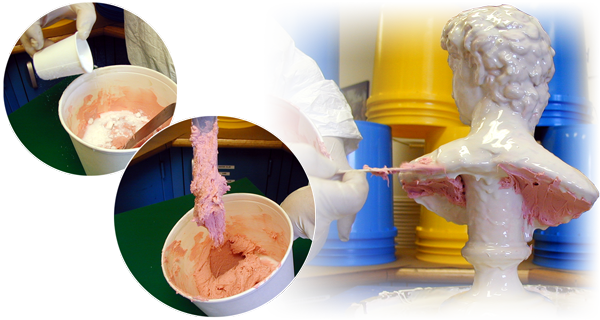 URE‑FIL™ 11 is a fiber-based filler.